Apple Toss: Using a bags set, set the bags aside and use apples inside! Be careful not to toss them too hard (difficult for younger kiddos). Playing on carpet or grass is recommended. 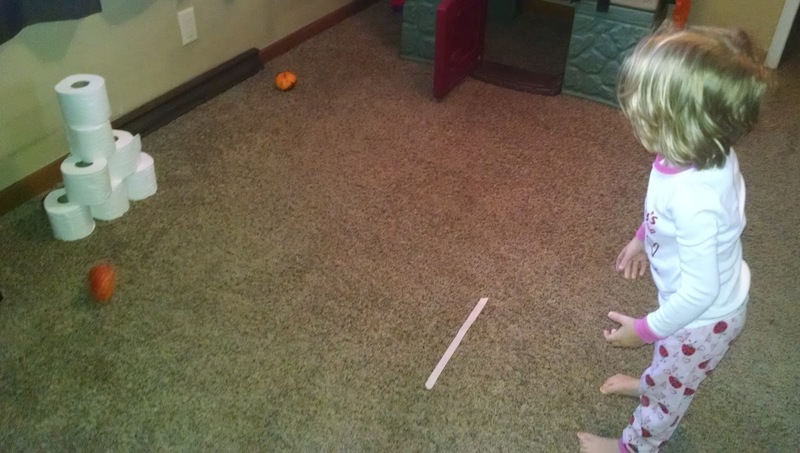 Pumpkin Bowling: Use toilet paper rolls as pins and mini pumpkins as the bowling balls. Playing on carpet or grass is strongly recommended, as is playing with mini pumpkins and no larger pumpkins (they will crack open easier than the mini pumpkins).